I will be joining other brain injury survivors and sharing about my experience living with traumatic brain injury, as well as sharing about the mask I created at the Unmasking Brain Injury event. 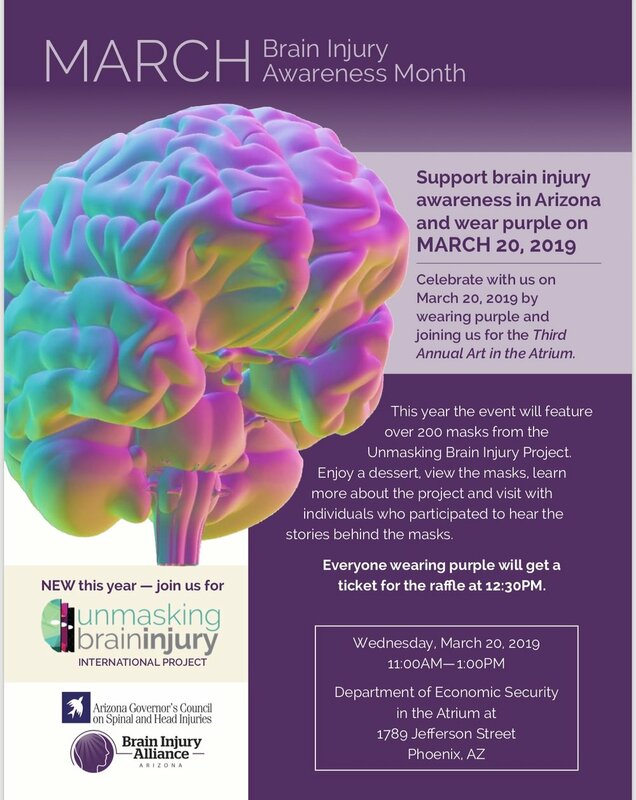 This event is being presented in collaboration with Brain Injury Alliance Arizona, the Arizona Governor’s Council on Spinal and Head Injuries and the Unmasking Brain Injury International Project. Support brain injury awareness and wear purple to the event, you will be entered into a raffle taking place at 12:30pm.